Invited witnesses include Acting Defense Secretary Patrick Shanahan, Air Force Secretary Heather Wilson, Chairman of the Joint Chiefs Gen. Joseph Dunford and the commander of U.S. Strategic Command Gen. John Hyten. WASHINGTON — Top defense civilian and military leaders have been asked to testify next week in front of the Senate Armed Services Committee about President Trump’s proposal to establish a Space Force as a separate military service. Committee Chairman Sen. Jim Inhofe (R-Okla.) and Ranking Member Sen. Jack Reed (D-R.I.) on Thursday announced there will be a full committee hearing on April 11 to examine the proposal. The SASC is the toughest audience that Space Force proponents will have faced thus far. While the House Armed Services Committee has been critical of the proposal, it appears more likely to support at least a modified version of the administration’s plan. Many HASC members in 2017 voted to create a Space Corps in the fiscal year 2018 National Defense Authorization Act. The SASC, however, rejected the proposal and it was removed from the NDAA. Trump said he wants the Space Force to be authorized in the fiscal year 2020 NDAA. Based on recent meetings on Capitol Hill where Pentagon officials presented the proposal to SASC members and staffs, skepticism about the need for a separate space service remains strong within the committee, according to DoD sources. This raises the stakes for the upcoming hearing. Called by the committee to testify are Acting Defense Secretary Patrick Shanahan, Air Force Secretary Heather Wilson, Chairman of the Joint Chiefs of Staff Gen. Joseph Dunford and the commander of U.S. Strategic Command Gen. John Hyten. In a letter sent to the witnesses, signed by both Inhofe and Reed, they ask them to be prepared to discuss the Space Force proposal “in depth.” A copy of the letter was obtained by SpaceNews. • What is the problem with how space forces are currently organized, and how does the Space Force provide the solution? • Why is establishing a Space Force within the Department of the Air Force the best solution among alternatives such as a “U.S. Special Operations Command model,” a separate department, or no change? • What is the justification for establishing an undersecretary of the Air Force for space and a four-star chief of staff for the Space Force? • What drove the decision to exclude the National Reconnaissance Office and the National Geospatial Intelligence Agency from the Space Force? The committee also wants a detailed account of the doctrine, organization, training, materiel, leadership, education, personnel, and facilities that would be required by the Space Force. The SASC also expects cost estimates for all these initiatives and an explanation for how these costs are “worth the expense to solve the problem,” the letter said. 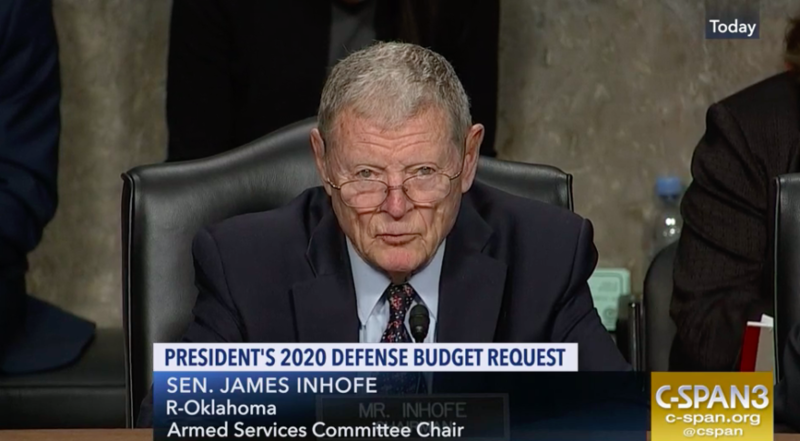 Inhofe and Reed said the committee also hopes the hearing will help members understand how the Space Force will support and integrate with U.S. Space Command and the Space Development Agency. The so-called Special Operations Command model has been one of the most intriguing options since it was first floated by the HASC in October. For space, that would be a command with authorities to organize, train and equip forces, led by a civilian assistant secretary of defense.